A June 2014 raid on an Albany, Georgia poker game involving several prominent local officials has resulted in indictments being handed down against a half dozen of the game’s operators on charges of running an illegal gambling business, according to local reports. The former mayor of Albany, Willie Adams, is one of the game’s participants who will still face misdemeanor gambling charges. Two of the 14 people originally arrested in early June are among the six people who now face charges in connection with the game, along with four others who were not present at the time of the raid. Those two, Robert “Bob” Brooks and Todd Kegler, face two felony commercial gambling counts, as does Rick Wagner, one of the four later arrested in connection with the game. Three other game operators, Daniel Gloria, Jim Phelps and Brian Hatcher, face one felony count each in connection with the running of the poker game. The dozen poker players who were arrested and charged only as players, in addition to Adams, included other prominent businessman from the Albany area. The city is one of Georgia’s ten largest and sits in the southwestern part of the state. Besides Adams, those facing the misdemeanor gambling counts include Page Elliott Keen, Jerome Hubbard, Donald R. Bell, Charlie Carswell, William Connell, Anthony Forsythe, James David Howell, Travis Kierce, Santy Solis, Alvin Whelchel and Harry Wilbourn Jr. The 14 players and game operators who were originally arrested were present when the June 2nd raid occurred, a frequent occurrence on private poker games within America’s conservative South. The raid was conducted by agents of the Georgia Bureau of Investigation (GBI). The arresting agents seized $20,000 and two firearms that were discovered during the raid. The long-running game itself took place at Albany’s River House Restaurant. The political figures and businessmen who participated in the game were prominent and well-connected enough that prosecuting the case has created unusual jurisdictional challenges. Dougherty County, GA District Attorney Greg Edwards was forced to recuse himself from the case. Edwards cited his extensive professional and governmental relationships with several of the case’s defendants when he turned over the prosecution effort to others. Soon after, the Georgia state attorney stepped in and appointed an outside prosecutor to handle the case. Julia Slater, the Chattahoochee Judicial Circuit district attorney, is now handling the case. 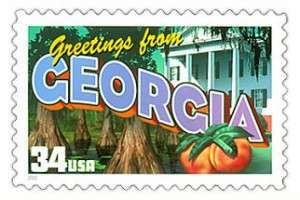 The Georgia case carries added interest and attention because under state laws, small private games are legal. Whether it’s because of the stakes — higher than most private games, but not unusual given the prominent participants — or the orderly fashion in which the game was run, investigators determined that the operation crossed the line. Court filings indicate that money was extracted from the game, either as rake or as an upfront fee, to pay for utilities and space usage at the restaurant. In addition, the six people charged with felonies included employees given specific operational tasks, from dealing to providing security for the games. Brooks is listed as one of the restaurant’s owners, while Kegler is described as a financial “middleman” who helped process player funds. According to an Albany Herald piece, the case’s various defendants will be arraigned early in 2015. Plea deals are likely for most of the defendants on the charges related to the game.